We’ve been having a streak of hot, humid weather in New Hampshire. This card is not as refreshing as an actual glass of lemonade, but it is fun. 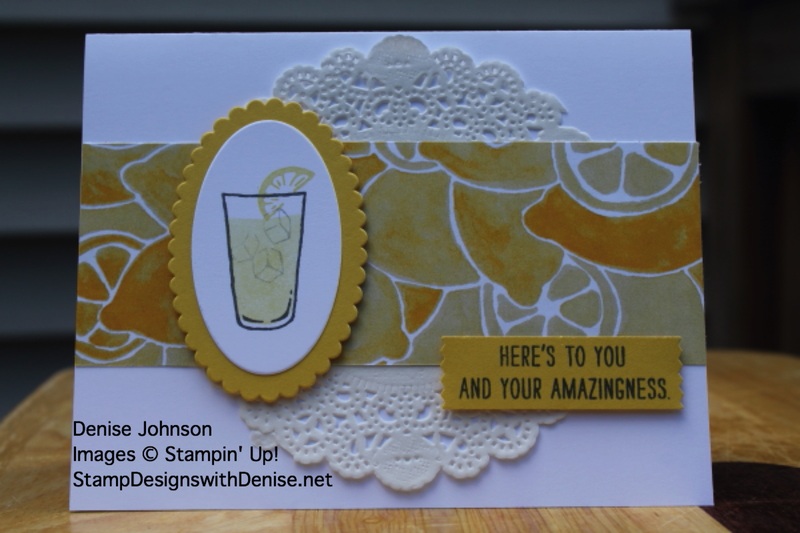 The paper is from the Fruit Stand DSP and is perfect for this lemonade card. Fold and crease Whisper White card stock into card base. Stamp glass and ice in Basic Gray on scrap white paper and sentiment in Basic Gray on Daffodil Delight card stock. Stamp inside glass with So Saffron ink. 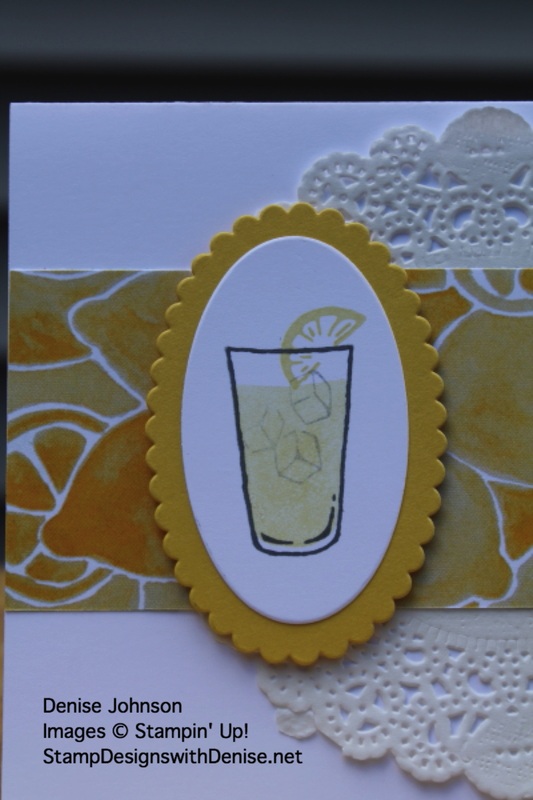 Stamp lemon slice on top of glass in Daffodil Delight ink. Cut out the scallop oval and glass of lemonade with the Big Shot and Layering Ovals Framelits. Punch out the sentiment with the Washi Label Punch. Layer all the components on the card base. Start with the doily, then the Fruit Stand DSP. Layer the lemonade glass on the Daffodil Delight scalloped oval, than attach to the top of the DSP with dimensionals. Attach the sentiment to the card base with dimensionals.